Eclectic compilation of African Pop, African Funk, African Hip Hop. Reggae, Funky Jazz and Straight Rock Music. 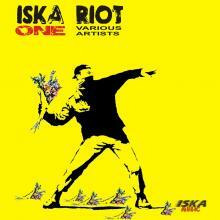 Iska Riot Volume One, includes tracks from some of the hottest undiscovered talents in World Beats Music. Submitted 1 year 4 months ago by firestarter.